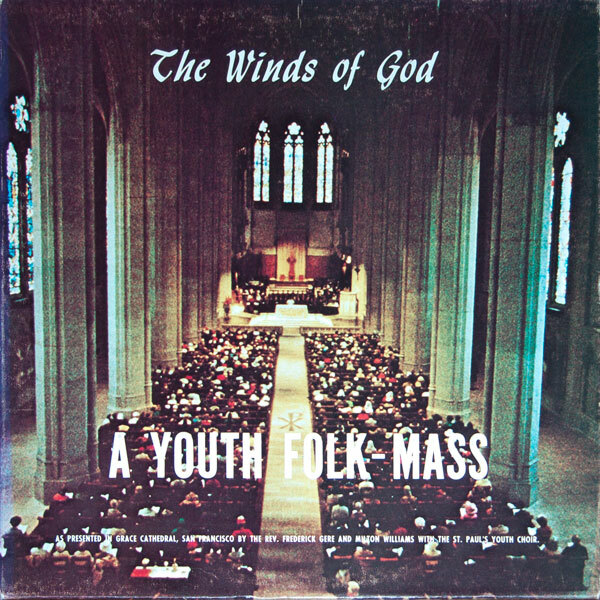 Most Christian albums in the 1970’s eschewed secular labels and concert venues, nurturing the developing Christian sub-culture and being evangelistic in the process. This album and group were an exception, although their later work was more distinctively Christian. But if you like the 1960’s with its “Sunshine music” (like the Mamas and the Papas,) social commentary and strange love songs, this is the album for you. It is an unabashedly “period piece,” and sounds good in the process. In spite of pieces like “I Wanna Come Home”, it’s a fun album. (Personally, after putting this together, I smile at “My Own 1889”.) Newbury Park could have been a much bigger group had others not beaten them to their genre, but the passage of time makes this album an enjoyable–and sometimes spiritual–voyage through an era that haunts us to this day. 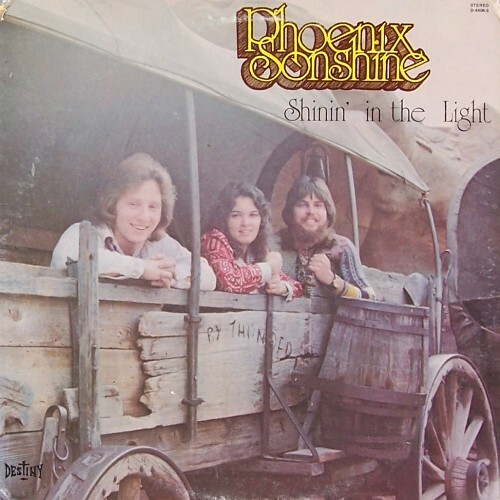 Phoenix Sonshine epitomised that sound and that message with this evangelistic, folksy album. It gets a little into folk-rock, a livelier sound than, say, The Way. It’s not as well polished as this production. But the best thing to do with this music is to get saved. More information on this album (and its performers) can be found on Waxidermy. This week I’m taking a little different tack by spotlighting an interview with Peter Scholtes, best known as the composer of “They Will Know We Are Christians By Our Love.” Conducted by his stepdaughter Jenna, it’s a fascinating trip through his life, career as a priest in the South Side of Chicago, involvement in the civil rights movement, thoughts on Barack Obama (the interview was done before his run for president), and his thoughts on family life and other topics. Scholtes lived long enough to see Obama exceed his expectations, as he passed away the year after Obama was elected president. But he also highlights something that is easily forgotten in the current American climate: that a good deal of the output of the “Jesus Music” era came from what we would call the “religious left”. The interview also shows Scholtes to be a more humble and self-effacing figure in the 1960’s than many of his contemporaries (and those who came after him on the Chicago scene). Although he doesn’t discuss this in his interview, Scholtes used his music to inspire people within his congregation to do better things and be better people rather than to simply spend all of their energies forcing others to change. 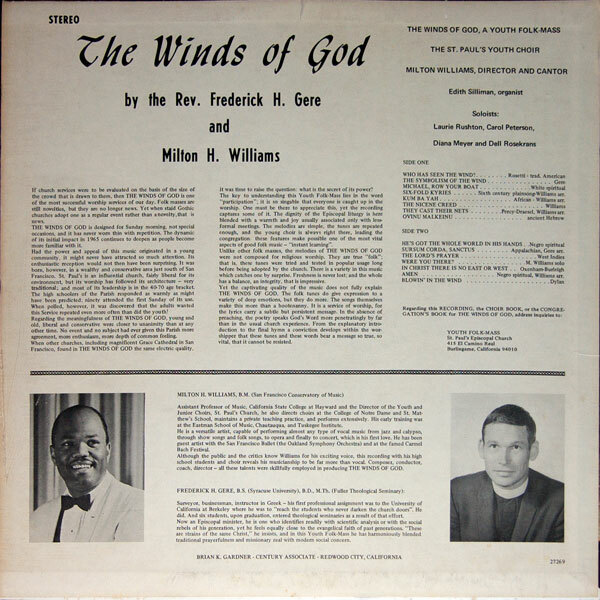 A great deal of the “Jesus Music” of the 1960’s and 1970’s was performed in coffee-houses. An innovative form of ministry, it broke with the “church” tradition (a breaking churches struggle with perpetuating until this day) and placed the gospel in a laid back venue. At the centre of the coffee-house was its band or group, performing evangelistic music (such as this, an actual coffee-house group) and making coming to Christ a much easier road for the portion of the generation that had turned its back on traditional church. The best known group in this genre was The Way, but there were many others. But then we had the question: what kind of music? Some coffee-houses gravitated to a more rock style. But this was anathema to others. That was partly an extension of the old “drums in church” argument, but it went beyond that. There was a strong school of thought that the sheer “artlessness” of much of the Jesus Music of the era was in fact spiritual, that venturing into “fancy” instrumentals was worldly. (And these same people went home and put Phil Keaggy’s What a Day on…) Unfortunately this argument also got a good deal of traction in Catholic Charismatic covenant communities, but that’s another post. This album, from California, sends all of this kind of argumentation to the bottom. It eschews the percussion all right, but the acoustic guitar work (six and twelve string) is masterful, as is the interplay between the male and female vocals. It adds artistry to the message in a way that makes both very sweet, even when it branches out into country (why did we have to have Maranatha 4)? It’s great music to listen to and even better music to get saved by. So what are you waiting for?